Thirty-two artists from seven states will exhibit and sell their work at ArtBurst on Saturday, May 21, as part of the annual Orange City Tulip Festival. The art fair will take place on the grounds of the historic Sioux County Courthouse beginning at 9 a.m. and concluding at 4:30 p.m. Admission is free to the public. Nineteen of the artists are from Iowa, while the others will travel from Kansas, Michigan, Minnesota, Nebraska, South Dakota and Wisconsin for the show. ArtBurst is a juried exhibition, with best-of-show cash prizes awarded for both two-dimensional and three-dimensional work. Serving as this year’s juror is John Vander Stelt from Maurice, Iowa. Vander Stelt is a 1983 graduate of Northwestern College who majored in art and now works as the creative director for Pizza Ranch’s corporate headquarters. An accomplished fine artist as well as graphic designer, he has had paintings commissioned for American State Bank, Wells Blue Bunny, Prairie Wind Events Center, Northwestern College, and the 75th anniversary of the Orange City Tulip Festival. Along with the exhibiting artists, ArtBurst will feature musical entertainment by the Usual Suspects, an Orange City band scheduled to perform from 10 a.m. to noon and again from 4 to 6 p.m. 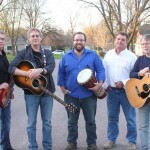 The band plays a variety of musical styles, including classic acoustic-based pop and rock, blues, contemporary folk, and original compositions.